Our popular grower's choice assortment of miniature plants suitable for terrariums. 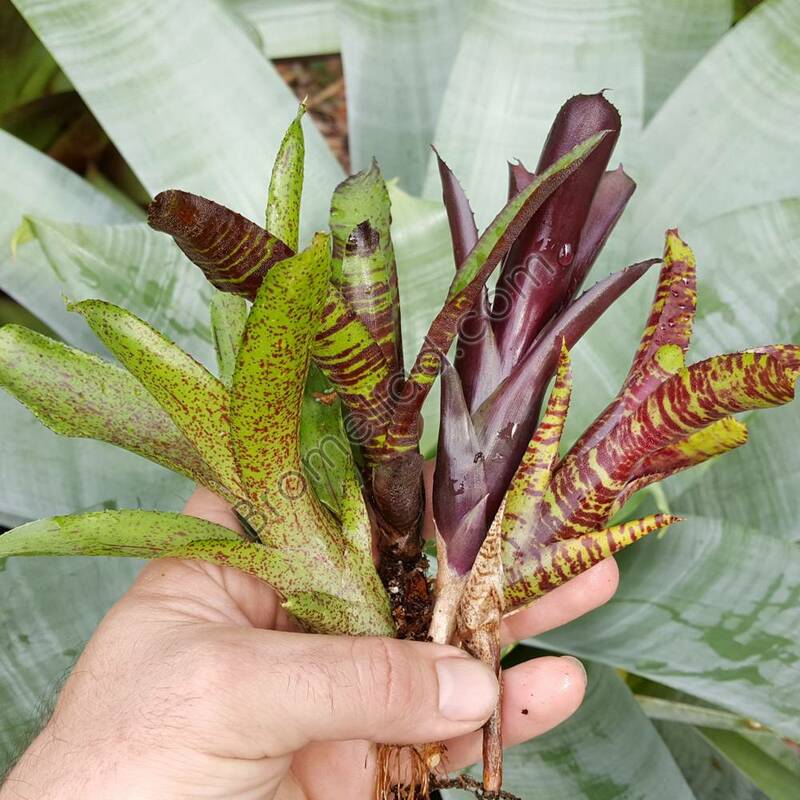 All are pups or also known as "offsets" and mainly consist of neoregelia but there may also be species and hybrids of other genera. Some plants may be bigger than pups. Our popular grower's choice assortment of miniature plants suitable for terrariums. 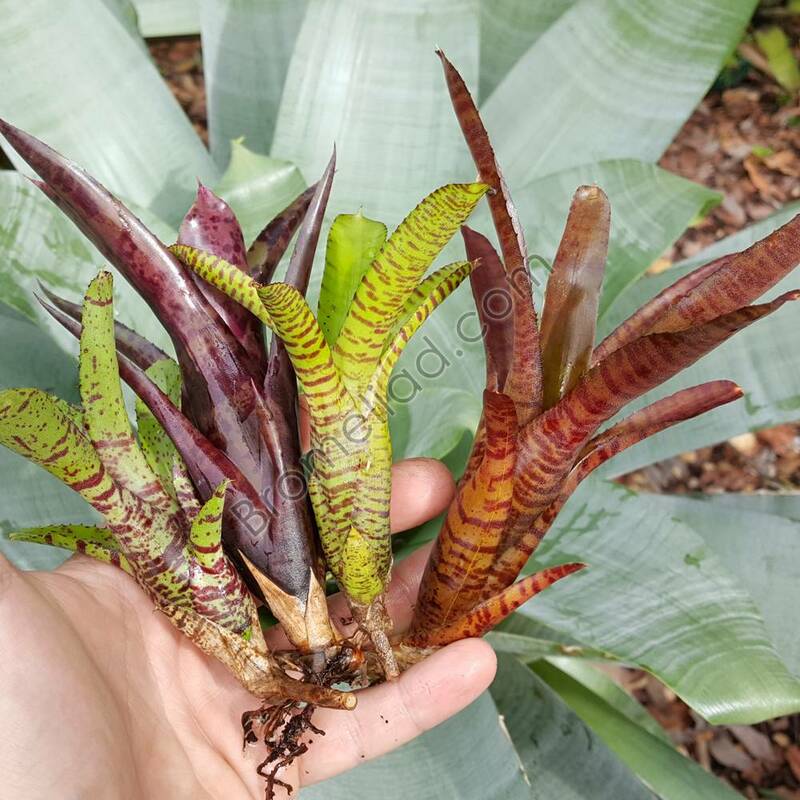 All are pups or also known as "offsets" and mainly consist of neoregelia but there may also be species and hybrids of other genera. Some plants may be bigger than pups. 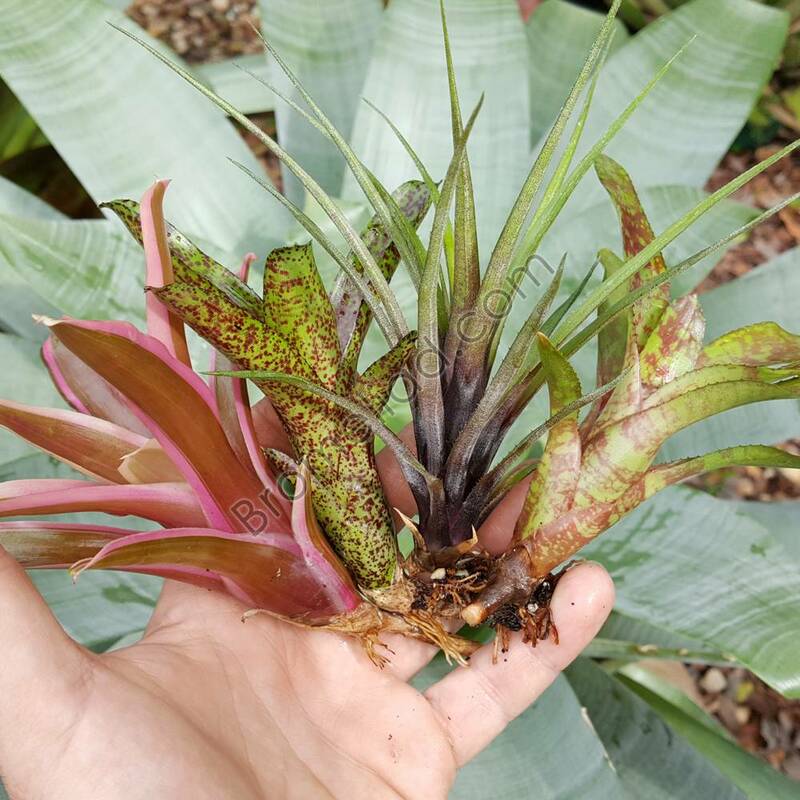 There is no Cryptanthus or Tillandsia in this assortment. All plants are clean, healthy and labeled. 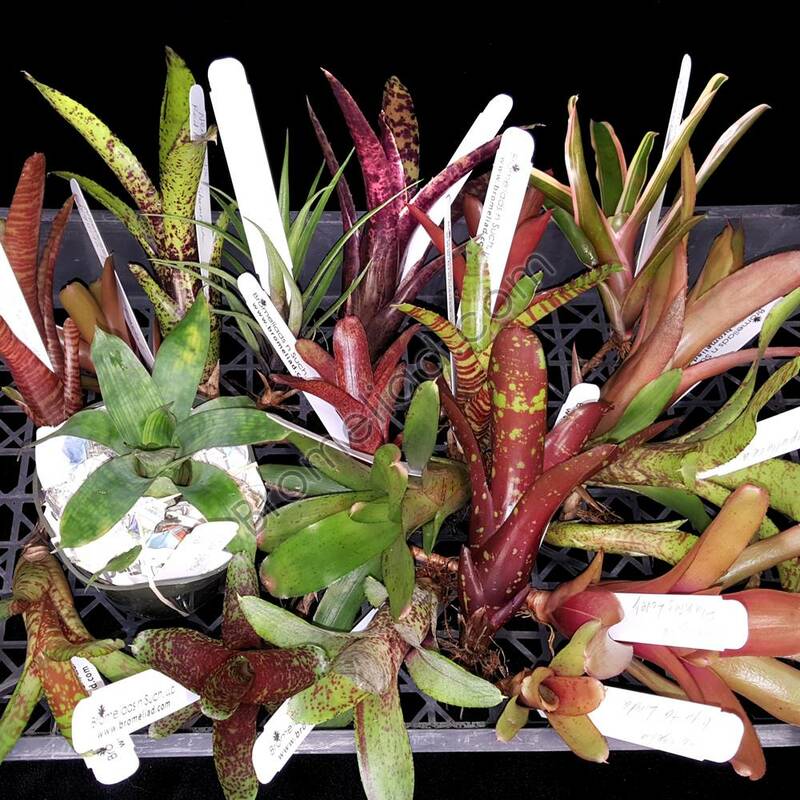 For orders of 100 plants and up, at least one of each variety will be labeled, and bundled with others of the same type. Please look past the example photos as the plants will surely look so much better in front of your eyes. 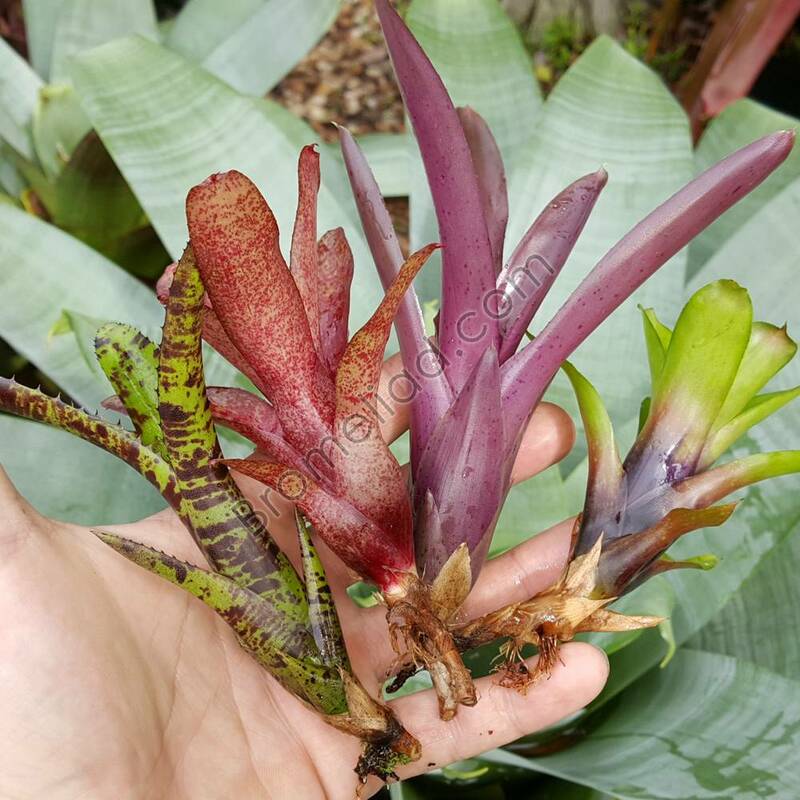 10 Plant Assortment - No duplication; All different plants. 20 Plant Assortment - Up to 16 different plants. 30 Plant Assortment - Up to 24 different plants. 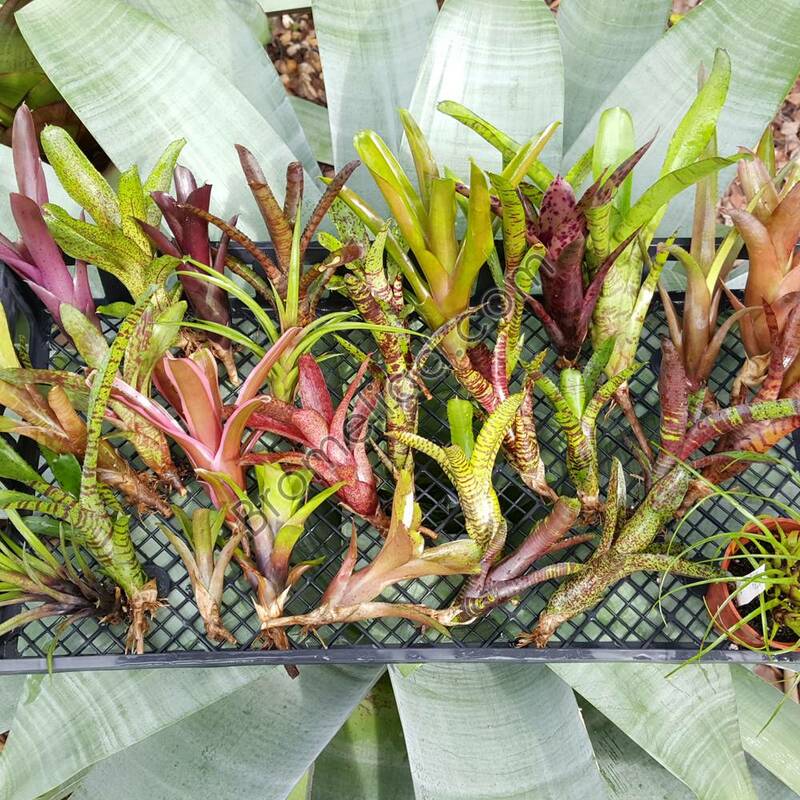 40 Plant Assortment - Up to 30 Different plants. 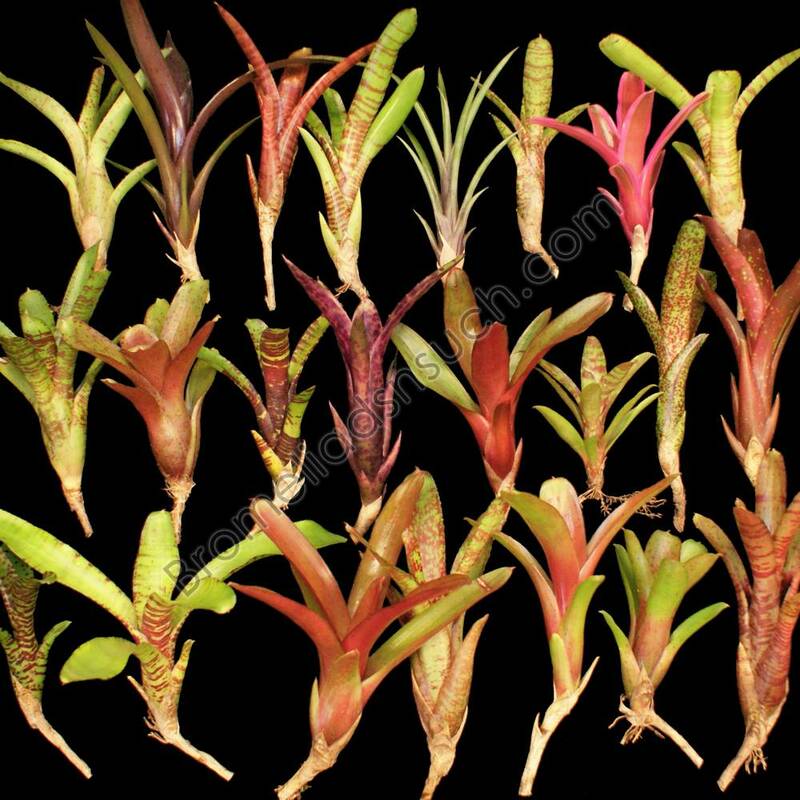 100 Plant Assortment - May include up to 4 of the same plant in the assortment. 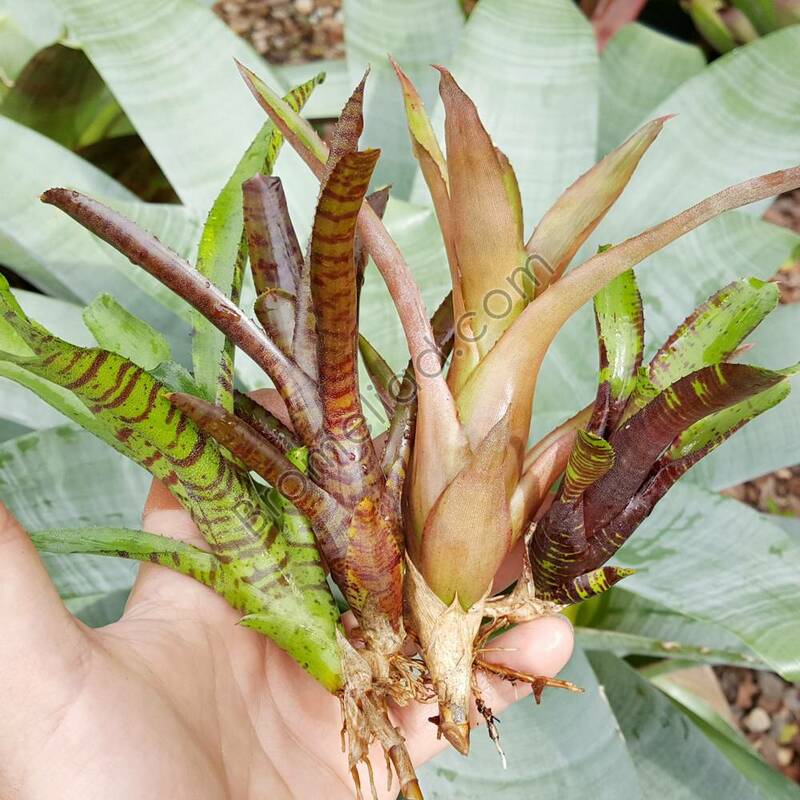 200 Plant Assortment - May include up to 10 of the same plant in the assortment.